Senate President Mike Miller showed up to work on Wednesday, the first day of the General Assembly’s annual session, with a cane, and he hinted at additional ailments. The 76 year old said he needs the cane because of problems with his hip and knee. When a reporter asked whether he has other health concerns, he promised to disclose more information about his health during Thursday’s floor session. “I plan to be president of the Senate for quite some time, and my health is very challenged, but we’re going to work through it,” he said. He promised a productive 90-day session, which is the 33rd he has presided over as Senate president. The start of the 439th session of the Maryland General Assembly Wednesday ushered in a class of 60 new legislators. The 188 members now include a record number of women and the youngest woman to ever serve in the state Senate. The Supreme Court announced Friday that it will consider a lower-court’s ruling that Maryland’s congressional district map is unconstitutionally gerrymandered to favor Democrats. Meanwhile, efforts to redraw Maryland’s sixth congressional district began Friday with the first meeting of a state commission appointed by Gov. Larry Hogan for that purpose. Health insurance premiums on plans in Maryland’s individual insurance market decreased this year as a result of a reinsurance fund state lawmakers approved last year, but the fund only has enough money to last a few years. 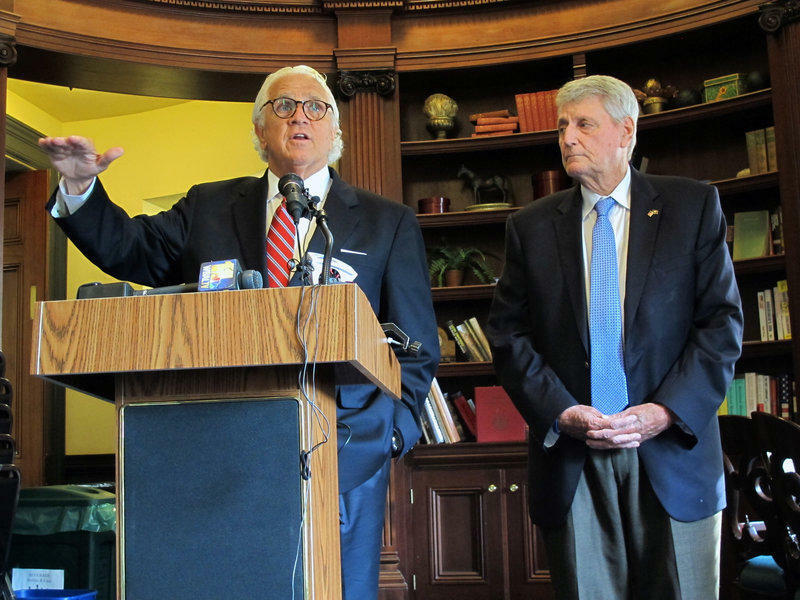 To keep premiums down over the long term, state lawmakers who return to Annapolis next week are considering a new health insurance mandate and a fine for anyone who lacks insurance. The proposal is similar to the federal Affordable Care Act’s “individual mandate” that Congress repealed late in 2017, but there’s a big difference: Maryland taxpayers would be able to treat the fine as a down payment on a health insurance plan. Maryland voters overwhelmingly backed a second term for Republican Gov. Larry Hogan Tuesday, but at the same time they rejected several Republican candidates for state and local offices. On Wednesday, state leaders reflected on what that means — or doesn’t mean — for the state. Tom and his panel of of Annapolitan Experts preview the 439th session of the MD General Assembly, which begins on Wednesday. The agenda will, as always, be full. Last year, lawmakers considered more than 3,000 bills. They passed nearly 900 of them in a record session that the Governor and Legislative leadership both praised as a success. Washington Post Maryland politics and government reporter Ovetta Wiggins is on the line from Prince Georges County. And joining Tom in Studio A are Josh Kurtz, the editor and co-founder of Maryland Matters, and WYPR State House reporter Rachel Baye. The 439th session of Maryland’s General Assembly begins today at noon. How will the large influx of new legislators change the dynamic? Will bills that were blocked before now become law? WYPR statehouse reporter Rachel Baye and Maryland Matters politics reporter Danielle Gaines tee up the issues, from education funding and sports betting, to police training and immigrant’s rights.